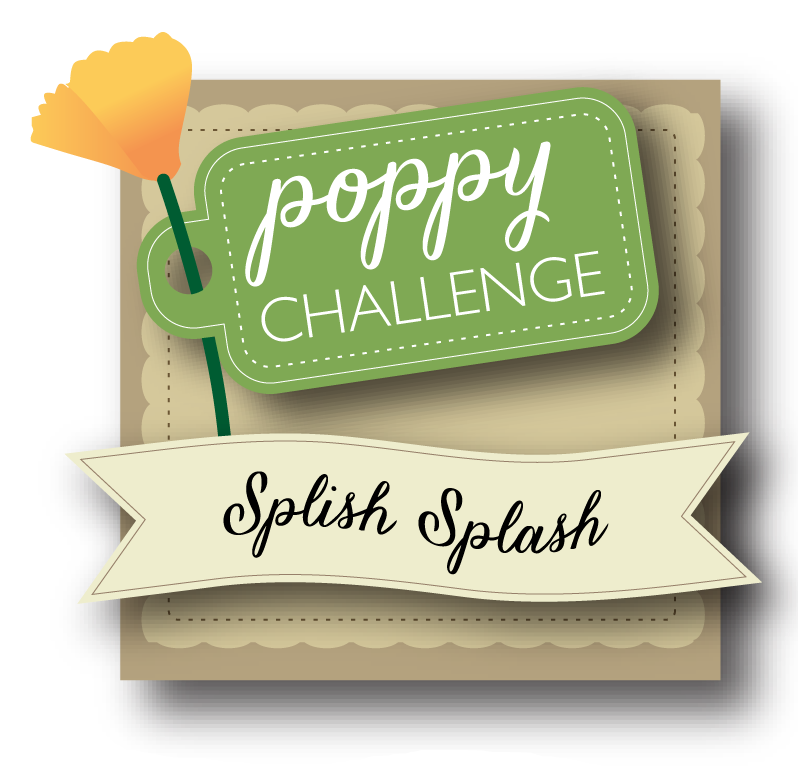 It's a new month and that means a new Poppystamps Challenge! This month the theme is Splish Splash! What does that mean exactly? 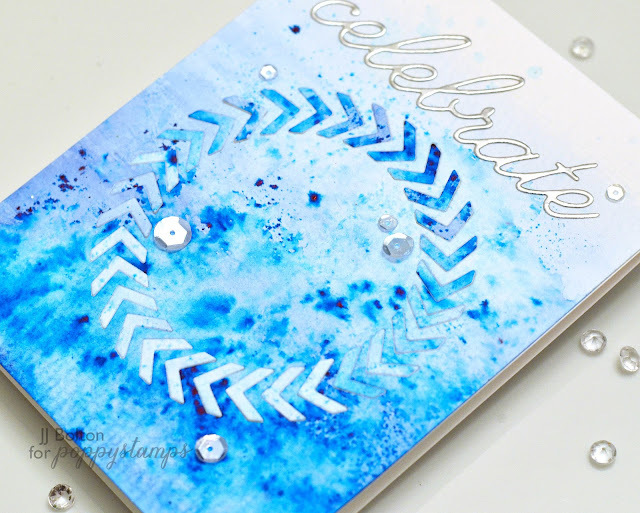 Think watercolors inspired by April showers! 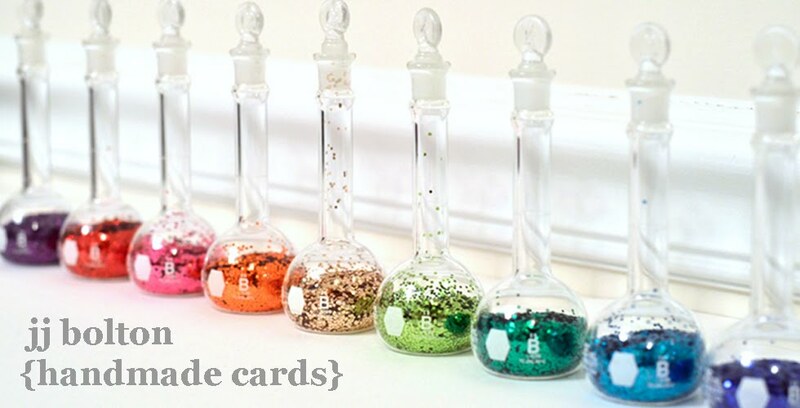 The last step was to add some clear sequins and a metallic silver die cut sentiment. So are you still loving watercolors as much as I am? I hope you are and I hope you join in the challenge! It's a fabulous project, JJ! Just love the idea of turning the wheel to shift colors! Gorgeous! Love how the silver pops against the fabulous background you created! Don't know how I missed this post ~ Such a creative design, JJ! 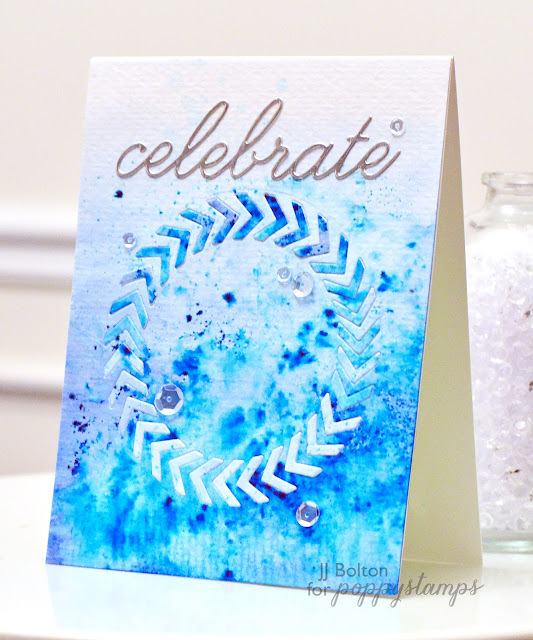 I love the ombre effect of your watercolors, and how the powders add so much texture! Very cool idea to turn the wheel, too! You are AMAZING!! !